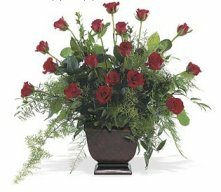 Sweet Sorrow Funeral Arrangment in Presque Isle, ME - COOK FLORIST, INC. This stylish, uplifting mix of sympathy flowers for the service is bursting with color. 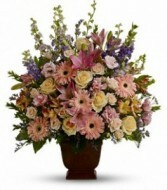 The tall arrangement features an array of flowers that will touch everyone's hearts.